Apart from playing and creating games, you can also learn how to create games here at Nilwen. The educational material here at Nilwen consists of a set of short and sweet lessons, each teaching you a vital game development concept at a time. You will be guided from lesson to lesson. Gradually building your understanding. And before you know it. Boom! You know how to make games. You'll be able to test out the things you've learned right away via interactive sandboxes. Well, what are you waiting for? Let's get cracking! Select an appropriate starting point lesson from below. These lessons will provide you with starting points. Select a starting point lesson that suits you. It is really simple to create and publish game here at Nilwen. These lesson will teach you how it is done. The first step to become a programmer of games is to learn how to program. These lessons will teach you the fundamentals of programming. A foundation is what you build your game upon. These lessons teach you about the available foundations. There are some things that is very useful to know about for a game developer. These lessons will teach you about these kind of things. To become a great creator of games, you must first master the art of project management. These lesson will teach you how to overcome common traps and obstacles in game development projects. Some components are used by more than one foundations. These lessons will teach you about these components. All areas of programming have their own special requirements. 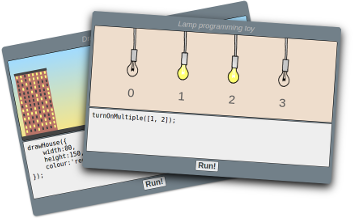 These lessons will teach you about concepts specific to game programming.